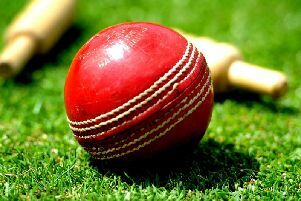 An under-strength Barkby United First XI began their county League Premier campaign under way with a narrow defeat at Kegworth on Saturday. Barkby travelled without several regulars, including captain Tom Flowers, with brother Steve standing in as skipper and winning the toss. Deciding to bat first, openers Hollis and Funnell got Barkby’s innings off to a good start, putting on 51, before Hollis was first man out for 26. Funnell followed four runs later, and Tew and Flowers took the score to 82 when the latter was bowled by Scotton for seven. Silver was trapped LBW to Scotton for two, before Tew and Carmichael put on 37 for the fifth wicket until Tew was bowled by Williams for a well-made 43. Carmichael was stumped by Meads off spinner Crimp with the score on 119, and Barkby lost three quick wickets to leave them 148-9. Johnson and Smith put on a 39-run last wicket stand, with Smith bowled by Scotton for 12, and Johnson finishing 25 not out. Barkby’s opening bowlers Funnell and Johnson bowled at a lively pace in reply, but lacked direction as the home openers put on 55. Smith came into the attack and had Meads trapped leg before, and danger man Williams (56) caught by Hollis. Spinners Sharp and Drake slowed the scoring rate, and when Funnell returned to the attack he had Glover well caught by Hollis in the slips (109-3). Drake struck two runs later, having Scotton LBW, and Sharp returned to remove Wall and Isaac, leaving Kegworth on 129-6. Drake then bowled Ashcroft for 31 and finished his miserly spell, conceding only 10 runs from as many overs. The game was in the balance with the hosts 135-7, but home captain Holmes compiled a sensible 30 not out, and despite Smith bowling Khan (7), the skipper and Turner took Kegworth to their target with five balls to spare. Barkby took 11 points, but will hoping for a better result on Saturday against Market Harborough at Beeby Road, 12.30pm start. Barkby: B. Hollis 26, H. Funnell 15, D. Tew 43, S. Flowers 7, B. Silver 2, M. Carmichael 17, J. Drake 10, M. Bartram 6, C. Sharp 1, J. Johnson 25*, C. Smith 12, Extras 23. Total: 187. Bowling: H. Funnell 10-1-44-1; J. Johnson 3-0-28-0; C. Smith 10-3-38-3; C. Sharp 10-4-28-2; J. Drake 10-4-10-2; B. Hollis 6-0-34-0; S. Flowers 0.1-0-4-0.